In the early 1990s the base started for the school as it is today, when classes were being given form a guesthouse. Demand grew over the years, and in 2000 a total-immersion language school. 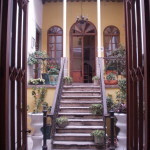 The school offers its classes now in a beautiful, colonial building, only yards away from the Jardin de la Union. 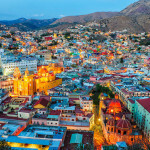 Our mission is to immerse students in an intensive, effective Spanish-language learning experience in a comfortable, friendly environment and introduce them to the rich culture and history of Guanajuato and Mexico. The school is on 20 minutes distance by taxi from the international airport of Leon. It has WiFi internet, computers and a library where you can borrow books for free.